Release Week Blitz & Sneak Peek! Mmmm this book was a delight in storytelling. That said though, it has some rough spots for me. Sadly, the characters are the biggest points off for me, and I live for characters. While I liked Agnieszka, there was a something about her that kept me from truly loving her. All the ingredients were there and her character journey is awesome. But. Something. I do think I'll like and appreciate her more on my second read (and, yes, there will be a second read, and a third, and a fourth, and so on). The Dragon was a big disappointment. He's too jerky for me to get behind and not fleshed out enough for me to like him beyond his prickliness. I needed more depth from him, and I didn't get it. I was really looking forward to his character, so this was crushing. While the romance did give me hate-turned-love, it failed to give me sparks, toe-curls, or heel-pops (see disappointing Dragon). I'm not convinced he's worthy of Agnieszka. Part of me thinks she would be better off on her own, while part of me is disappointed at that idea because then she wouldn't get a happily ever romance. But, I think my torn feelings all go back to the Dragon being an unworthy happily ever after. I don't feel satisfied. Then there was the pacing, which, at times, did not make me happy and pulled me out of the story. I could have done without the slow start (almost DNF-ed because of it) and the jarring jump from the tower/wood setting to the court setting. This last wasn't a bad thing, but it was unexpected and I don't like that and the transition could have been smoother. But, even with all that, this is a Special Shelf book. It's the Wood. It all comes back to the Wood. This palpable, living, breathing character in its own right. This menacing, creeping, constant presence that made me feel equal parts dread and intrigue. Figuring out how it works, what it is, and why it does what it does. Visualizing its actions, magic, and attacks. This kept my eyes glued to the pages, wishing I would never run out. The Wood has all the depth, backstory, and nuance that the Dragon lacks. Also, the magic. This ties in with the Wood, but it also stood separate and in both cases I was enthralled. 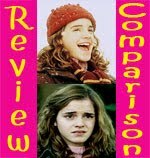 I was entranced by the descriptions, but I also loved how character growth was intertwined with magical expression. Characters wield magic and are changed by magic, victims of magic and allowed to be their true selves through magic. This was a book I could touch and feel and become so totally absorbed in that the real world disappeared around me. I've thought back on the story many times since finishing it and it still keeps pulling me back. This was an experience I'm glad I had. 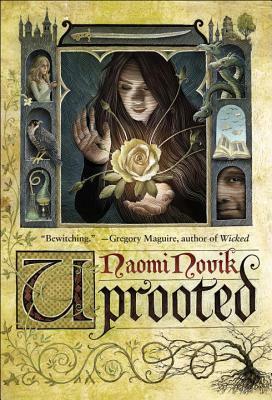 This is one of those sisterhood witch books where women witches all bond over magic, herbs, and feminine mystery. 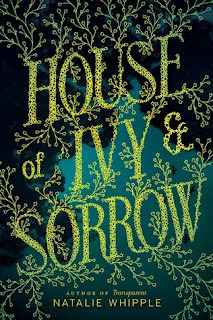 The plot flips between Josephine's normal life and her growing romance (boring, out of place) and her witch life where her family is under attack from some generational curse and a mysterious creepy guy and his mysterious and slightly-less-creepy-because-he's-dreamy sidekick. There's a lot I didn't like about this book. The main character annoyed me. I could not get into her romance. There's a lot of "will there be a love triangle" set up, too. The whole book felt kind of eye-rolly. But, there's something about it that I did like. I was totally engaged. I wanted to find out more about the curse. I actually liked the sisterhood magical bonding. It also felt a lot shorter than 360 pages. Bottom line: I enjoyed reading it, but I wouldn't read it again. This is a standalone. I think I would have liked this book more if I had read it when I got it, which was probably about four years ago. 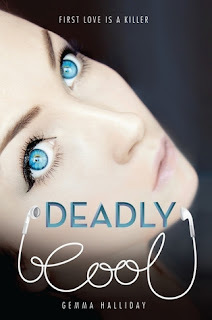 I've changed as a reader and Deadly Cool isn't really my thing anymore. It's nice, but I have too many books on my TBR to spend time on a nice book that isn't grabbing me. So, what is it? It's a high school book with a spunky main character who likes to lay down funny lines. She's likable, slightly insecure, and has been wronged by her cheating boyfriend...who she is determined to help prove innocent of suspected murder. The mystery seems cute and there is a blossoming new romance and a friend sidekick, all good things. Bottom line: Good for fans of Clarity and The Liar Society. I keep starting and erasing this review. 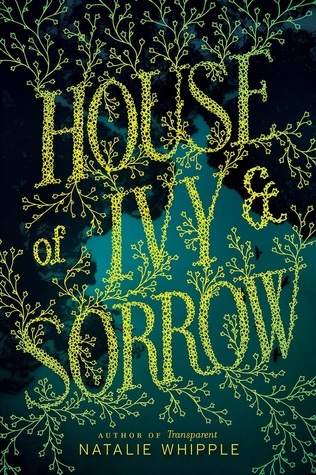 I'm struggling because on one hand, I really, really wanted to love this book. I've been a big C. W. Gortner fan and I'd been looking forward to his take on Lucrezia for years. On the other hand, I did DNF it. I think it all boils down to C. W. Gortner's portrayal of Lucrezia. She's too innocent, young, and dumb. Her attempts at scheming are childish and uninteresting. I wanted her to be calculating. I wanted her to be stronger. I wanted her to be someone I could root for, but instead I ended up feeling mild dislike. And, now that I think about it, the other characters suffered similarly. For such a passionate, polarizing family, these characters came across as thin caricatures, not capable of evoking strong feelings in me or leaving any kind of lasting impression. Borgia himself was a weak, easily fooled old man. Ceasare was a stereotypical, boring Byronic hero, with none of the allure or intrigue I was hoping to get. Juan was just one-note evil. 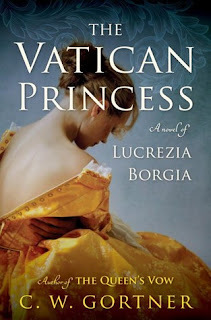 Lucrezia kept hovering on the outside of the Borgia family schemes, but I never got to dive into them and it was hard to imagine the characters I was shown would be capable of any kind of interesting plotting. This made for a boring, frustrating read. I kept waiting for something interesting to happen or for Lucrezia to take some control of her story, but that never happened. I get that she was a political pawn for her family and didn't have a whole lot of control, but she didn't even have any agency in her thoughts. Events just happened to her and she stumbled blindly through her life with this stupefying wide-eyed innocence, which makes little sense considering her family. Maybe this is because Lucrezia is younger during the parts I read and she will grow to be a stronger person? I keep trying to make excuses because I so want to like this book, but I feel like I'm grasping for excuses. Lucrezia also stumbled into a large number of graphically sexual situations. 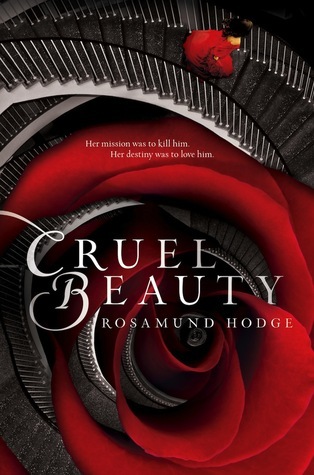 I guess that's fine in a Borgia book, but it felt like this book couldn't decide what it wanted to be: a revisionist redemption novel for pure innocent Lucrezia, a salacious sexfest, or a serious historical novel. I don't think it really succeeded in any of those areas and the combination didn't really work. The graphic parts also seemed almost boring and repetitive because they were used to show how evil the villainous characters were, and it was all very cackling and one-dimensional. This may be a case of high hopes dashed. I fell in love with C. W. Gortner's The Queen's Vow and The Last Queen, about Isabella and Juana, two tempestuous queens with drama-filled lives. Neither woman is easy to like, but C. W. Gortner really showed the nuances of their characters. There was so much depth and historical detail packed into those books. But this one just seemed to lack both the depth of characterization and the depth of historical substance that those other two books had. I didn't feel transported to that historical time period. Really, it could have been any "olden" time or place. I didn't feel like I learned anything, and I am far from a Borgia scholar. The few details included felt very surface-level and minimally researched. I didn't feel compelled to race to Google and start digging deeper into the history of these people and their time. I didn't feel much of anything and the whole thing had a very "phoned-in" vibe to it. I guess this one is a miss for me, but I'm not giving up on Gortner just yet. I have a copy of his Catherine de Medici book, and I still have high hopes for it. But for this one, I'm very disappointed. There aren't any huge spoilers for the series in this review, but it probably wouldn't do much good to read it if you haven't read the first two books. If you're interested in reviews for those, you can check out my review for Throne of Glass and Crown of Midnight. It's Sarah J. Maas. I love everything about her writing. The way she builds worlds, her characters, her approach, and how in everything you can feel her paying homage to her influences (all of which are my favorites too) while still remaining wholly her own. Sarah J. Maas makes me remember why I love stories. Manon Blackbeak's story. This felt a little out of place because it doesn't tie in at all to Celaena's story (in this installment), but I did enjoy it. I wasn't hugely impressed with Manon as a character (especially in light of all the hype) and I think she could have been fleshed out a whole lot more (backstory!). But, I'm a sucker for the underdog and I latched onto her relationship with her dragon like a dog with a soup bone. Those scary creatures! My gosh they are creepy. I thoroughly enjoyed all of the pulse pounding scenes with them. They reminded me of Tolkien's Nine with all their creepy soul sucking tenacity. But, of course, Sarah J. Maas makes them her own. Aedion Ashryver. Oh, swoon! Even better, he stands on his own as an intriguing character. I'd love a spinoff series of Aedion's adventures. In many ways he was a highlight of this book, despite his short page time, and I hope he gets developed a whole lot more. I'm having a hard time adjusting to Celaena's character switch. I get it. It's good. It's important. It matters for her character arc and I do like the direction this is going in. But...Celaena Sardothien is such a powerhouse of a character and her name matters. I feel like something is lost. Aelin may be who she was born as, but Celaena is who she chose to be and I feel like she's ceding something by embracing the name Aelin instead of sticking with Celaena. Then again, I always have difficulty with this sort of thing. While this is definitely not a filler book, it still felt like a filler book. Introducing Manon's storyline broadened the scope of the book, but it also felt like a digression. Celaena spends a lot of time sulking and depressed, and instead of gutting me and wrenching my heart (Nehemia! ), it made me feel bored and listless. Celaena is going through a lot of legitimate feelings during this time, and I'm disappointed that this didn't come through to me like it has in the past. While I liked Rowan well enough, he wasn't a particularly memorable character and I wasn't feeling much chemistry between him and Celaena (platonic chemistry, I mean, because there is no romance between them). It felt...forced? This whole part felt like a waiting period. It felt like a rehash of Celaena's growth periods with Chaol after the salt mines or in the desert with Ansel and the Silent Master, but without any of the heart or fire or character chemistry. I feel like, as the story is getting larger, it's losing it's way a little. There's a lot going on here and I think some of it suffers from lack of development. Sarah J. Maas can do epic and she can create characters that leap off the page and into my heart, so I'm sad to see so many meh characters here that I know could be so much more. I'd rather have a 2,000 page book or have one book broken in two (yes, even if that means massive cliffhangers) than sacrifice the depth of the world and characters. Manon is a character worthy of more. Rowan could be. Chaol deserved more page time and depth to his intrigues. Dorian is a potentially huge character with an incredible arc that continues to get short shrift. Each of these characters are worthy of lead character status and I wish Sarah J. Maas would write them that way. I know this would fundamentally change the series from Celaena's story to something really epic and HUGE, but, gosh, what a story that would be. I felt like a lot of this book was tearing down everything I loved about the earlier books. Celaena's spark, her relationship with Chaol, her direction, the momentum of the story. This is a darker, slower, more introspective book, which is not a bad thing. It did make this a hard, disappointing book to read though. That said, there were also stunning moments that have been seared into my memory. 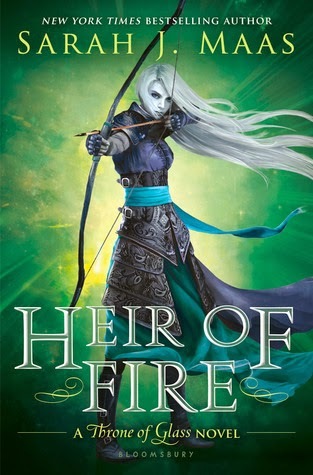 That scene running from that...thing, the battle at the end, the descriptions of flying, the backstory with the red cloak, Sarah J. Maas knows how to deliver scenes that leap off the page and there were plenty of them in Heir of Fire. I understand and appreciate the value of this book, and I think I will like it a lot more upon a reread. As a part of a whole, this is a solid installment and a worthwhile part of Celaena's journey. But, as my one yearly gulp of new story fodder, I was disappointed. One of the unexpected advantages of having a co-author is that you have someone to celebrate with who is every bit as excited as you are when the book releases. And today we’re both very excited to share America’s First Daughter with the world. This novel, which explores the life and times of Martha “Patsy” Jefferson Randolph, the eldest daughter of our third president, was years in the making. And it started one night when we were having dinner together and discovered a mutual interest in American history. Over burgers at a writing conference, we wondered what Jefferson was like as a father, not just a founding father. At the time, Laura was a history of professor by day and a romance author by night, whereas Stephanie split her writing time between romance and historical fiction. We got the crazy brainchild to combine our experiences in co-authoring a book about Jefferson’s eldest daughter, and raced back to the hotel room to research. Frankly, we had no idea the journey we were about to embark upon. We didn’t know that it would take five years, three agents, eighteen thousand letters and a road trip to get this book out. But we did know, right from that very first night, that we had stumbled upon a great untold American story. One that shed light on the women of the early Republic, the sacrifices they made, the lies they told, and the legacy they left to us. We understood from the beginning that our heroine wouldn’t always be lovable--she was as complicated and morally flawed as her father--but that her grit, determination, and resilience would fascinate, captivate and inspire. We shared a vision from that first crazy night of research into the wee hours to the days we would later squeeze writing together into our busy schedules. We knew what we wanted to do. But we didn’t know if we could do it. That is to say, having never worked together before, we were taking an enormous leap of faith. And that’s one of the reasons that we dedicated the book to perseverance and friendship, because everything could have gone disastrously wrong. Both of us have our own writing voices; we have strong opinions and we are both used to having creative control. We also have vastly different working styles. Laura is a pantser; she doesn’t normally plot her books in advance, but lets the muse take her. Stephanie is a plotter who comes to every novel armed with Scrivener and a host of color-coded story structure notes. Add to that our busy schedules writing our own individual books and it didn’t look like a match made in heaven. The second thing that made our partnership work was that we both have a healthy ego and complementary strengths; by healthy ego, we mean, we both had confidence in our writing, but not arrogance. If a scene had to be cut for the good of the whole, we let it go. As for complementary strengths, Laura’s perspective as a historian brought an in-depth knowledge of the period and scholarship on Jefferson; her ability to make mortals of monumental men and explore deep emotions helped connect readers to the story. The author of multiple award-winning works of historical fiction, Stephanie brought her fantastic understanding of character and story structure, and came up with the use of letters to frame the book and each chapter within it. Her ability to make the political personal brought the period to life and helped show Patsy off to be the fascinating historical actor she truly was. It wasn’t always magic, of course. We had scheduling conflicts. 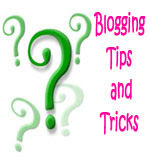 We had to jump through hoops to figure out how to write collaboratively when our book became too big for Google Docs and Laura wondered why Stephanie couldn’t just use Word like a normal person, and Stephanie wondered why Laura couldn’t give Scrivener a shot! This is where it comes in handy to really like your co-author, so you can tease each other good-naturedly, and room together on road trips. For us, writing fiction together--sharing the research, hashing out the historical controversies and interpretations, choosing a cohesive point of view--has been a challenging but rewarding experience unlike any other. We loved it so much that we decided to do it again with our forthcoming MY DEAR HAMILTON about Elizabeth Schuyler Hamilton the wife of Secretary of the Treasury, Alexander. Meanwhile, do you have any questions for us about the mechanics of writing a book together? From her earliest days, Patsy Jefferson knows that though her father loves his family dearly, his devotion to his country runs deeper still. As Thomas Jefferson’s oldest daughter, she becomes his helpmate, protector, and constant companion in the wake of her mother’s death, traveling with him when he becomes American minister to France. It is in Paris, at the glittering court and among the first tumultuous days of revolution, that fifteen-year-old Patsy learns about her father’s troubling liaison with Sally Hemings, a slave girl her own age. Meanwhile, Patsy has fallen in love—with her father’s protégé William Short, a staunch abolitionist and ambitious diplomat. Torn between love, principles, and the bonds of family, Patsy questions whether she can choose a life as William’s wife and still be a devoted daughter. Her choice will follow her in the years to come, to Virginia farmland, Monticello, and even the White House. And as scandal, tragedy, and poverty threaten her family, Patsy must decide how much she will sacrifice to protect her father's reputation, in the process defining not just his political legacy, but that of the nation he founded. Amelia Peabody rocks and is totally getting a sleepover party invitation. And we're playing Truth or Dare and she's definitely picking Dare. See Amelia is one of those lite/cozy historical fiction heroines who blazes her own trails, bucks convention, gets it done, and does it all with a witty comment about her situation (including a healthy awareness of when she herself is totally at fault). She's in good company with other adult heroines like Lady Trent or MG counterparts like Kat Stephenson and Theodosia Throckmorton. 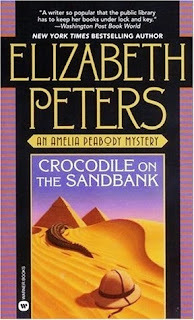 Amelia's adventures take place with Egyptian excavations, mummy curses, and similar perils, which are all things I tend to enjoy. There's also a nice female friendship with Evelyn, the shy balance to Amelia's blunt approach (complete with her own sweet romance). Add in a murderous mystery with a possibly supernatural source and I was hooked. Oh, and did I mention the grumbling, bickering love interest? Yes! This is a hate-turned-love book! Amelia butts heads with Emerson her grudging partner in crime-solving and artifact-finding and listening to the two of them swap notes and zingers elevated Crocodile on the Sandbank from a "good" read to a "reread." 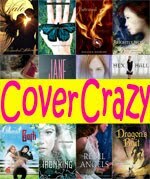 This is the first installment in a very long series (19 books! ), but it ends very nicely as a standalone so you can easily read just this one book without having to worry about committing the time for the entire series. I listened to it on audiobook with Susan O'Malley narrating and her voice is absolutely perfect. So perfect, that I actually stalled out on the series once I got to the third book and realized the reader had switched (and to a voice that seems far too old for Amelia). Moving forward I'll have to switch to reading and not listening, because I'm seriously have issues with that new reader. Which is also to say that, yes, I will definitely be continuing with Amelia and her adventures! I feel like I've found a bosom friend with Amelia, so thankfully there are many more adventures to come. This is an adult historical cozy mystery, but there is nothing inappropriate for YA readers and probably has good crossover appeal. Also recommended for fans of the Mummy movies (and you can count me as a fan). We are absolutely thrilled to bring you the Release Week Blitz for Stephanie Dray and Laura Kamoie’s AMERICA’S FIRST DAUGHTER, a historical fiction novel is published by William Morrow, an imprint of HarperCollins, and releasing March 1, 2016! AMERICA’S FIRST DAUGHTER is a compelling, richly researched novel by bestselling authors Stephanie Dray and Laura Kamoie. Drawing from thousands of letters and original sources, the authors reveal the fascinating, untold story of Martha “Patsy” Jefferson Randolph, Thomas Jefferson’s eldest daughter. Patsy was one of the most influential women in American history: not only the progeny of a founding father – and the woman who held his secrets close to her heart – but a key player in the shaping of our nation’s legacy. And her story is one seldom told, until now. Make sure you grab your copy today! “And what of our future . . . ?” I asked. With mischief twinkling in his eyes, he stopped, drawing me into a grove of trees. Beyond us, in the ditch, we heard boys playing a ball game in the dim lamplight. Somehow, in the dark, Mr. Short’s fingertips found my cheeks, and his mouth stole over mine. This first kiss was soft and tender. As if he feared frightening me. Nevertheless, it shocked me. It was like my heart was a loaded cannon he’d held fire to, and it threatened to shoot out of my chest. But I wasn’t frightened and I didn’t pull away. Instead, it seemed quite the most natural thing to kiss him back, mimicking what he did, glorying in every soft, sweet sensation. Only one? I wanted to lavish a thousand kisses on his face. Hislips, his cheeks, his ears. The desire was a sudden hunger, a desperate plea inside me echoing like the cry of peasants for bread. STEPHANIE DRAY is an award-winning, bestselling and two-time RITA award nominated author of historical women’s fiction. Her critically acclaimed series about Cleopatra’s daughter has been translated into eight different languages and won NJRW's Golden Leaf. As Stephanie Draven, she is a national bestselling author of genre fiction and American-set historical women's fiction. She is a frequent panelist and presenter at national writing conventions and lives near the nation's capital. Before she became a novelist, she was a lawyer, a game designer, and a teacher. Now she uses the stories of women in history to inspire the young women of today.